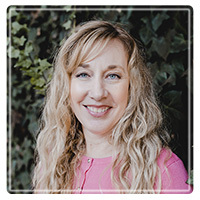 Cerritos Therapist: Joelle Allman - Therapist 90703. I am a Christian believer and a Licensed Clinical Social Worker who provides biblically sound principles and knowledge to treatment which consists of providing psychoeducation, teaching communication, conflict resolution, problem solving and coping skills. Reaching out for help is a huge step in getting the help and support you need when faced with a problem. Finding the right therapist who is understanding, empathetic, respectful, and has the same values and beliefs is a crucial part of getting the proper guidance and assistance to resolving issues in our lives. Often as individuals we get stuck in our negative thinking patterns, poor communication and coping skills, and may even be paralyzed by fear and hurt at times. Although we are faced with struggles and challenges in our lives, God wants us to live in victory by learning new skills and behaviors that will give us joy and freedom to live more satisfying and purposeful lives. restructuring techniques; teaching various skills which include communication, conflict resolution, problem solving, positive coping skills, and parenting skills. guidance needed to navigate through life’s problems, disappointments, and hurt we experience. Isolation makes us feel like we are suffering alone. You are not alone. I am here to provide scriptural and professional guidance. Please take a step of faith and reach out for help. It is never too late to turn your life around. Clients need to feel safe in session with their therapist. Believe me, we all make mistakes in this life which provides each one of us with valuable lessons for living, learning, and growth. .Having a non-judgmental attitude and empowering individuals to make their own choices and providing them with unconditional positive regard is important for successful change to occur. I will provide you with compassion, empathy, and encouragement to build a strong therapeutic relationship to foster growth in your personal faith and to resolve issues and problems in your life. I will offer scripture, prayer, biblical counsel, and evidenced based psychological interventions and treatment to equip you for your individual battle. Please take a step of faith and reach out for help. It is never too late to turn your life around!